As promised, Audi has unveiled a brand new e-tron concept at the ongoing 2018 Los Angeles Auto Show. Following several teasers and official camouflaged pictures, the real deal is finally here. 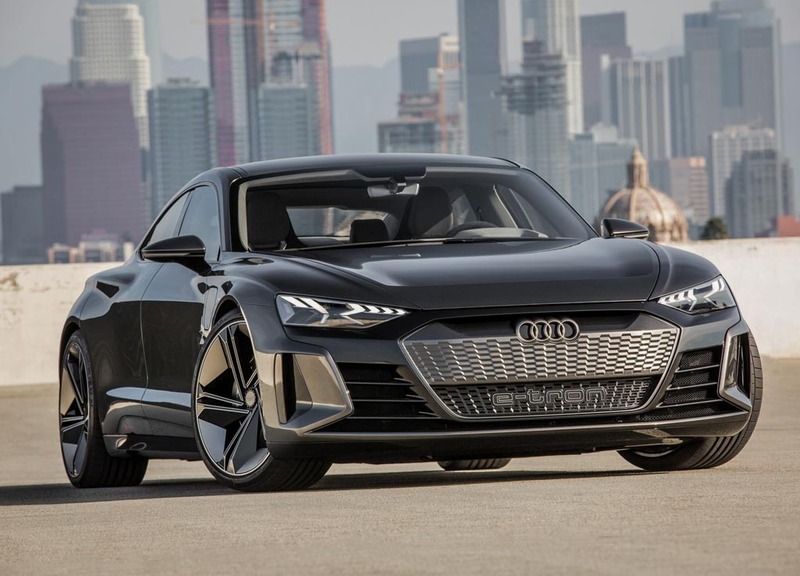 The Audi e-tron GT concept is a pure electric car descending from the production e-tron SUV and a good thing is that it does not look like a futuristic concept. Instead, it only needs minor tweaks to enter production and it is developed in partnership with Porsche mainly on the technological aspect. 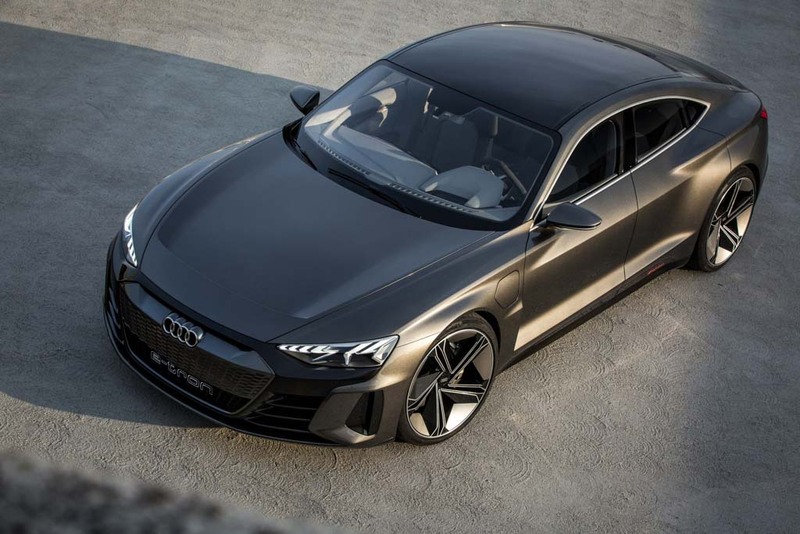 The concept blatantly indicates the future of the Ingolstadt-based brand’s performance machines and it will enter production before the end of this decade. It will be the third model to wear an e-tron badge as the SUV is already here and the Sportback is slated for 2019. 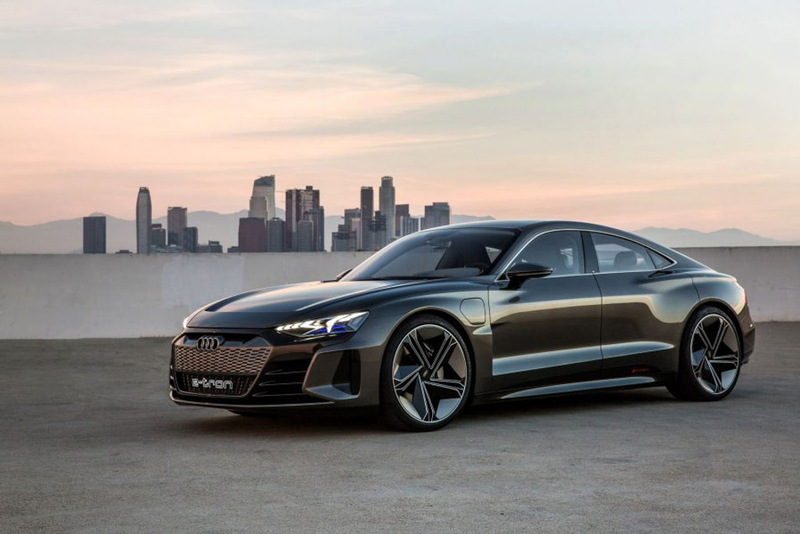 The e-tron Gran Turismo is part of Audi’s plans to launch as many as 12 electric vehicles by the middle of next decade. 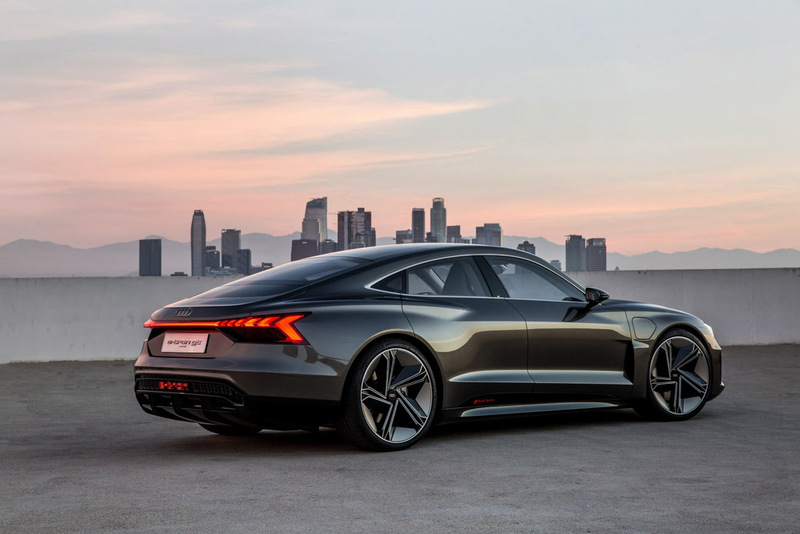 The four-door coupe is squarely aimed at Tesla’s highly popular Model S and it has a flat floor architecture with the battery pack mounted underneath as low as possible for optimised centre of gravity. Under the WLTP (Worldwide Harmonised Light Vehicle Test Procedure), the 95 kWh battery pack is said to have a maximum driving range of more than 400 km on a single charge. 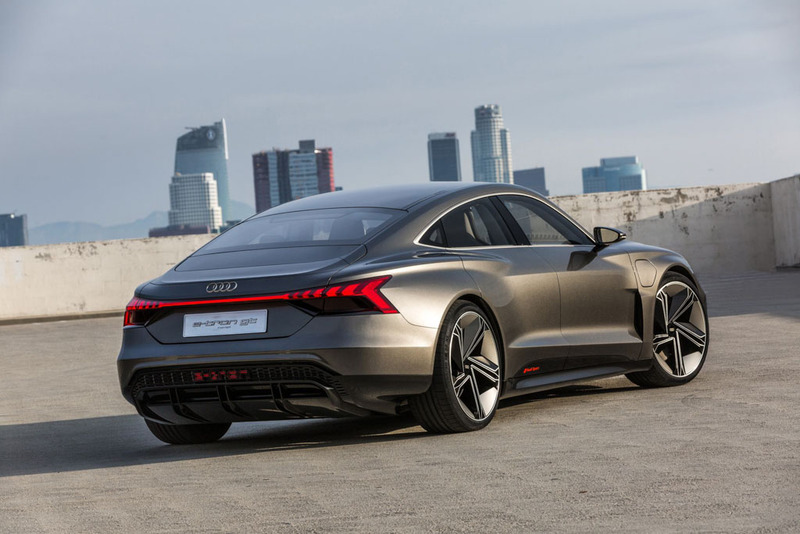 Audi had to carefully craft the exterior for being aerodynamically efficient and use lightweight materials for achieving the battery range. The body panels are made of unique materials including high-grade aluminium while the roof is finished in carbon and supporting elements in advanced high strength steel. Audi has achieved the all-wheel-drive Quattro driveability with torque vectoring by opting to use one synchronous motor on each wheel. 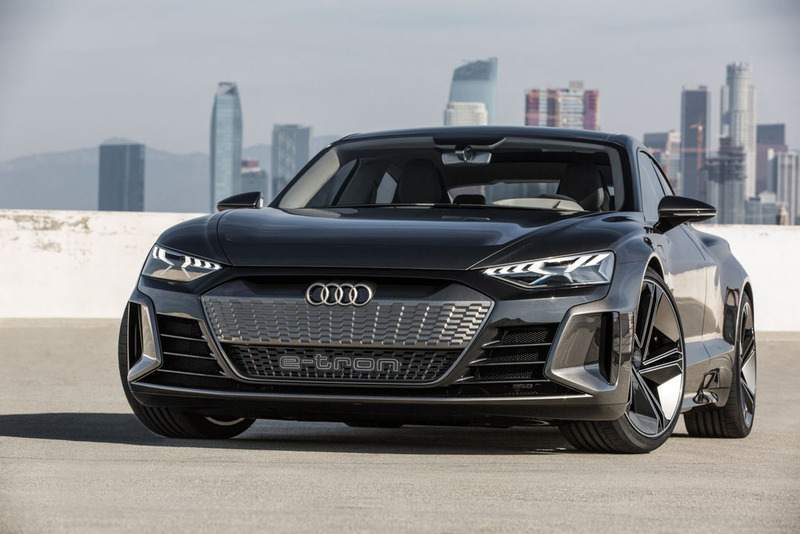 Just as its e-tron SUV sibling, the regenerative braking technology helps in long range. It measures 4.96 m in length, 1.96 m in width and stands 1.38 m tall. The GT comes equipped with 800 V battery system, and under fast charging the battery can be replenished up to 80 percent in just 20 minutes. The combined power output is rated at 590 hp and zero to 100 kmph is claimed in about 3.5 seconds while the run up to 200 kmph is dealt in over 12 seconds. 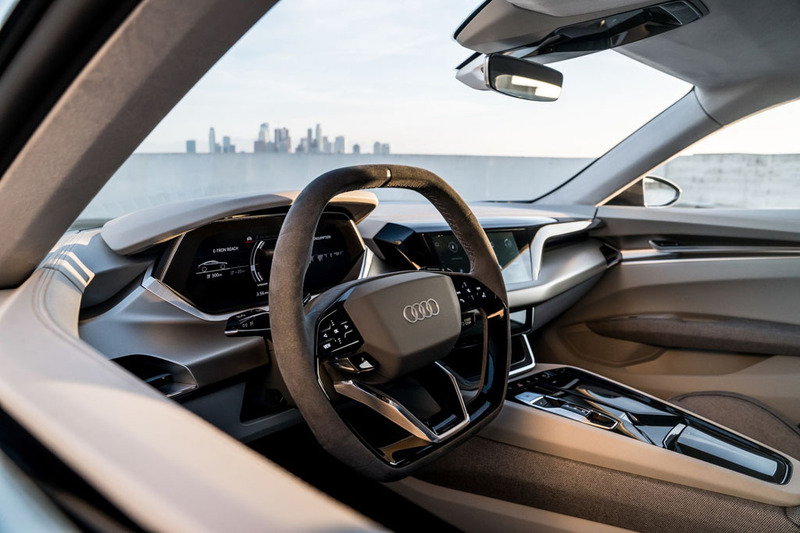 The Audi e-tron GT concept has top speed of 240 kmph and it has 450 litres of bootspace capacity and 100 litres of additional volume under the bonnet.